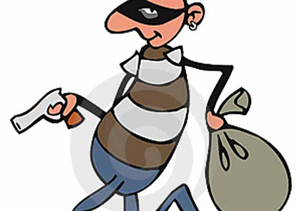 Udupi, Mar 20, 2017: Further in the Kerala-based jeweller case of robbery of 1.5kg gold and Rs 2.5 lakh in cash by a group posing as cops near Hiriyadka in Udupi district late on March 17, Friday night. The district police have launched a massive manhunt for the group. The incident happened when the victim T D Dilip from Thrissur was travelling to Udupi from Karkala in a bus. K T Balakrishna, superintendent of police, said that the victim, a gold trader, often used to visit Karnataka to sell gold ornaments. On Friday also, he had visited Mangaluru, Moodbidri and Karkal and sold gold to jewellers there. After visiting Karkala he was travelling to Udupi with 1.5kg gold and cash of Rs 2.57 lakh collected from the sale of gold in a bus when the group abducted and robbed him. The SP said Dilip boarded a bus at night around 7.30pm from Hiriyadka. On the way, a person came and sat next to him. Later, he introduced himself as cop and asked the victim to handover all the gold and money to him. When Dilip started screaming for help, other three persons, who were seated behind him, forcibly stopped the bus and took him away in a car to a secluded place. They held him at gunpoint and robbed him. Later they dropped him at Padubidri and fled away. Balakrishna added that five teams have been formed to nab the culprit. Police have also made sketches of miscreants based on the narration given by Dilip and circulated them to all police stations. A case has been registered at Hiriyadka police station. Police also added that they are also verifying whether the victim had authorised documents to sell gold. It is very risky to travel with such huge mount in bus . Because some have watch on us an our activities always. The police will trace the miscreants.